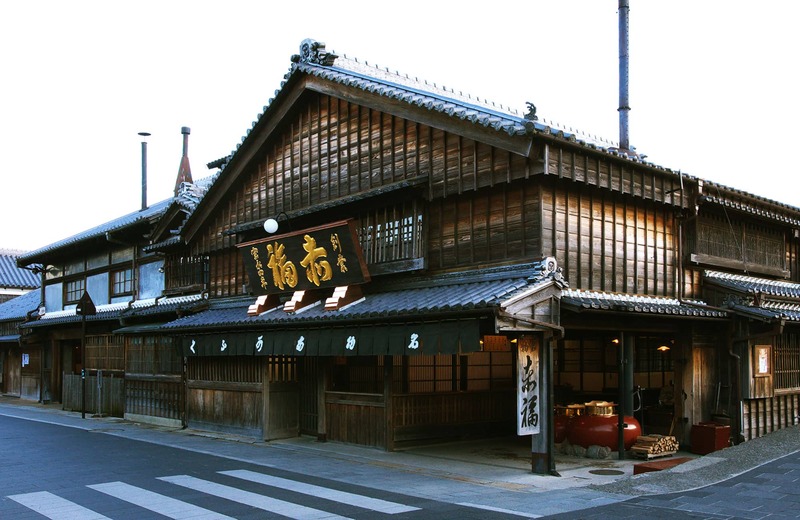 Akafuku was established about 300 years ago in 1707 as a tea house in Ise to welcome those visiting the Ise Grand Shrine. Akafuku mochi is a pounded rice cake confection topped with a sweet bean paste. Enjoy the Akafuku mochi by dividing the mochi in the box into smaller portions with a spatula. There is a hope within this "traditional Japanese way of eating", which is that "we want everyone to enjoy the mochi together in great friendship as if they were eating surrounding a single pot". We hope that sharing the Akafuku mochi will provide opportunity for deepening bonds within families and between friends. In order to prevent the loss of color and flavor in the ingredients, Akafuku mochi uses absolutely no long shelf life preservatives or artificial coloring. Therefore, the amount of time that Akafuku mochi will keep is short, but we place great value on the taste of our mochi. 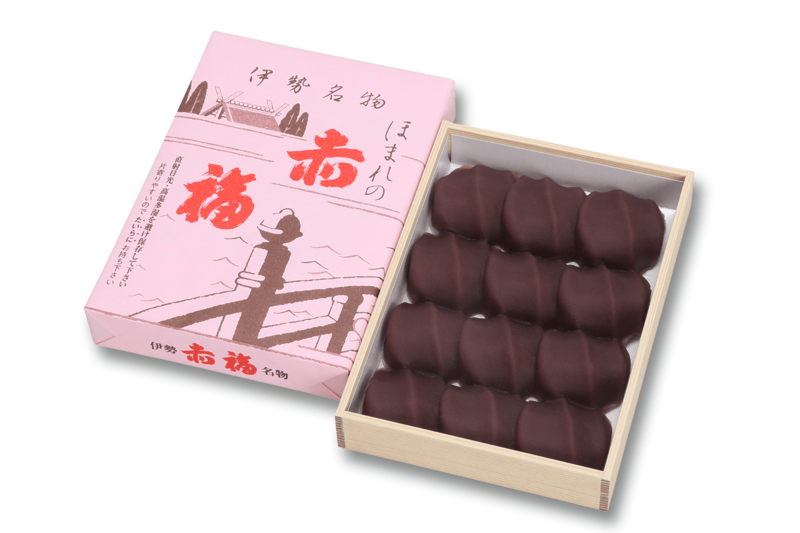 And even within Japan, the fact that it is a travel souvenir and also from its quality management perspective, Akafuku mochi is only sold in a specific region central to Ise City in Mie Prefecture. 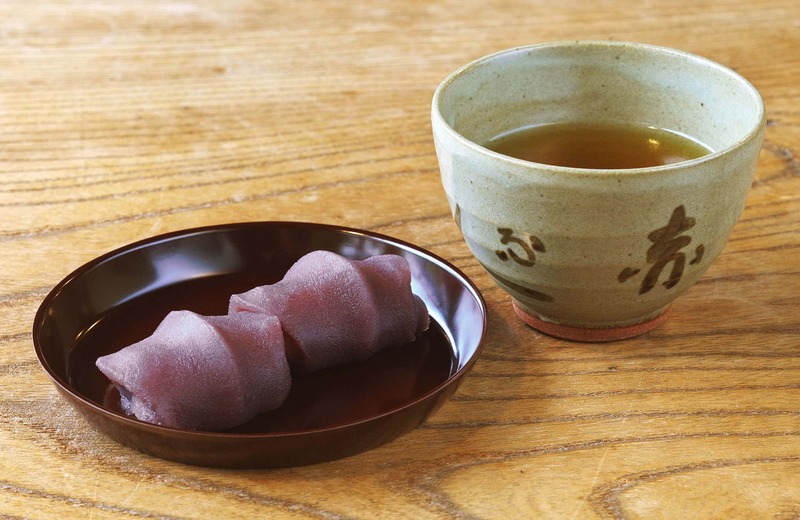 The raw ingredients of Akafuku mochi are utilized according to our company's standards. We make sweet bean paste and mochi using two kinds of sugar to form Akafuku mochi; a sugar with large crystals and high sugar content, as well as a mild and light taste sugar. For the sweet bean paste, we only utilize azuki beans from Hokkaido. 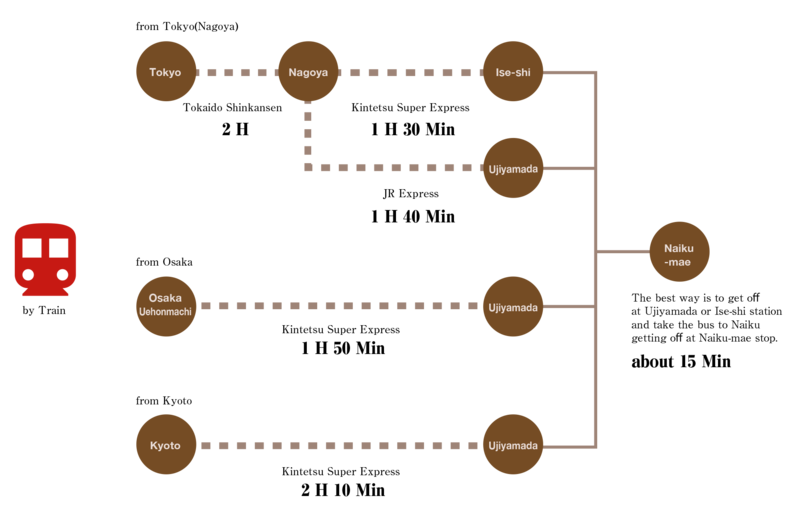 This is because Hokkaido is best suited for the cultivation of azuki, and produces high quality beans. For the mochi, we only utilize mochi rice produced domestically in Japan. We require mochi rice that does not grow hard even as time passes. Additionally,it is very important that there is no non-glutinous rice (ordinary rice used for meals) mixed in. For that reason, we exclusively use mochi rice from "specialized mochi rice production estates", at which only mochi rice is cultivated. Also, our production facilities earned the ISO22000 in 2011. We will continue to deliver delicious products to our customers with thorough production and quality management. There is an expression in Japanese, "Sekishin Keifuku (Sincere Happiness)", which signifies a state of "possessing a heart like that of a newborn, free from falsehood or deception, joyful and delighted by the happiness of oneself and others". This saying expresses the spirit of those who make pilgrimage to the shrine. As one walks on the road towards the Ise Grand Shrine, the pure feeling that arises brings about this faithful heart, and we can experience joy in the happiness of those as if it were our own. 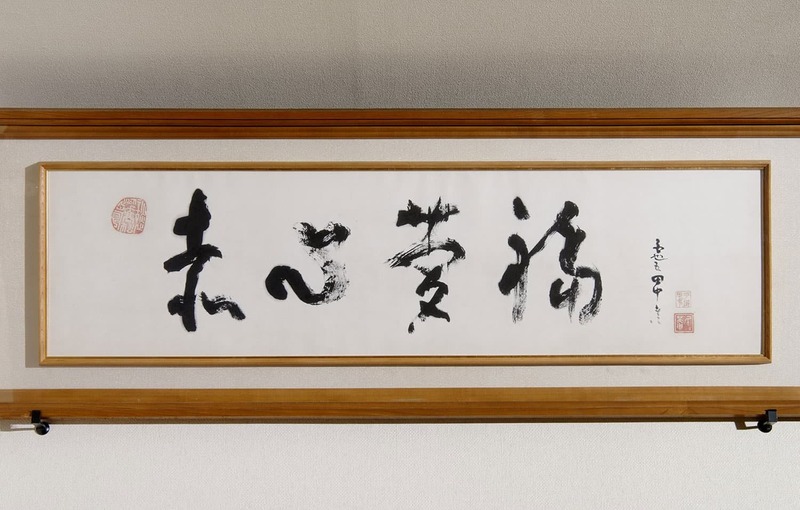 "Sekishin Keifuku" is the origin of our company and product name, Akafuku, as well as our company's creed. Ise is a place abundant with nature, surrounded by mountains, rivers and ocean. It has thrived as a town centered around the Ise Grand Shrine since long ago. 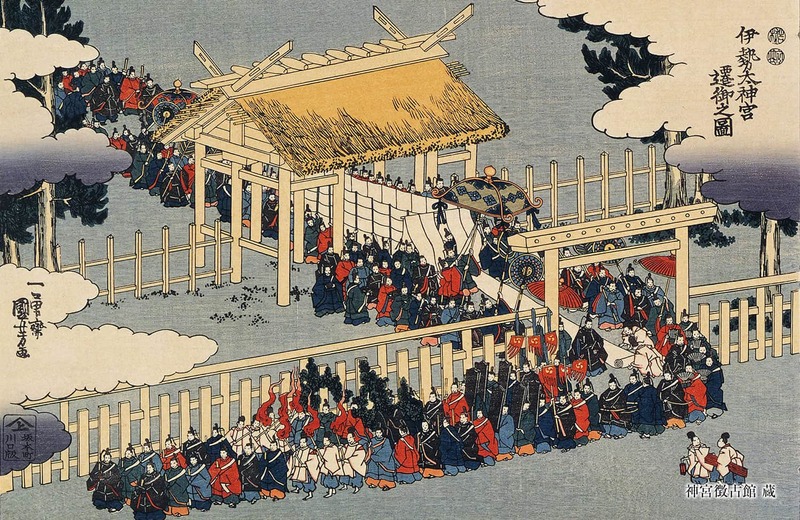 During the Edo period (1603-1868 CE), there was a nationwide boom of mass pilgrimages to the Ise Grand Shrine, called the "Okage Mairi (Ise Jingu Pilgrimage) ". It is said that within a one year period during that time, 1/5 of the population were visiting Ise, which is why it was so bustling. Akafuku was established as a tea house during this prosperous time and has continued unchanged right by the Ise Grand Shrine. We have continued providing hospitality both in the past and present to all those who visit the shrine. Ise is said to be the "hometown of the Japanese soul". We are dedicated to continue providing service and cherishing Ise.